With many years experience in museums, galleries and high-end picture framers, combined with an artistic vision, I endeavour to find the right frame to suit any artwork and budget. 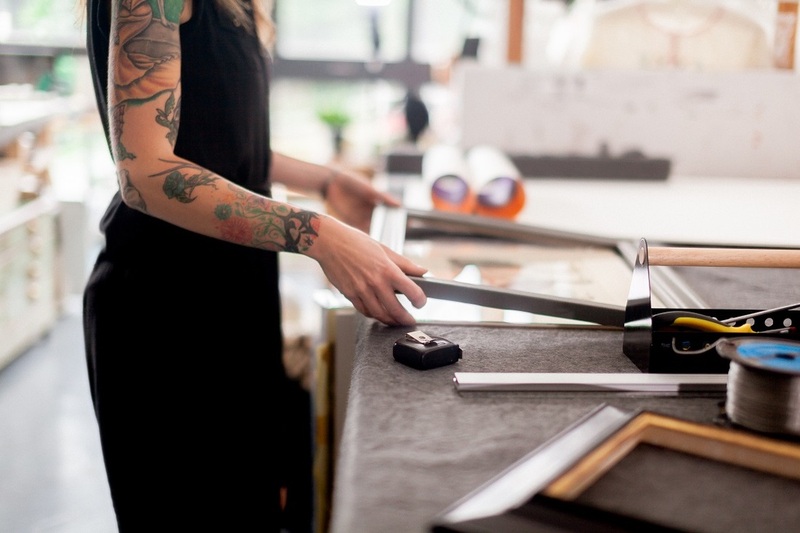 Clients' needs are individually assessed to ensure their precious art, memorable occasion, or quirky keepsake is treated correctly using conservation methods and materials. In this way, they can be proudly displayed for years to come. I offer a wide range of wooden mouldings, all of which can be stained or painted a colour to suit your picture. I will go the extra mile to find the right shade, or add a glint of gold or silver to bring out the best in your picture. 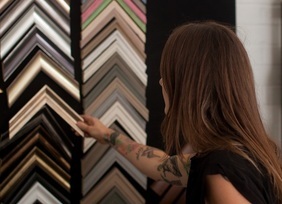 With a huge range of pre-finished mouldings available, I will endeavour to meet your individual framing needs and suit your budget - never compromising on quality. Using traditional methods and materials, I can create beautiful antiqued gold frames, or contemporary gilded surfaces to enhance those pictures that ask for something a bit more special.